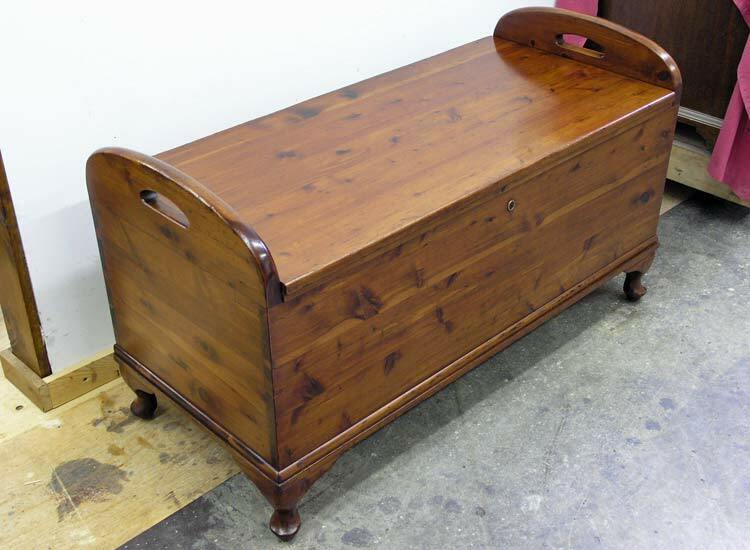 This cedar chest is constructed of solid cedar wood and is mounted on Queen Anne style cabriole feet. Its restoration involved repairs and reconditioning of the existing finish. One of the back feet was broken off, and the other was loose and missing a section. The finish was pretty beat up and faded, but despite it’s worn look, it did not need to be refinished. To begin, I repaired both of the back feet and re-attach them as original. Next, the existing finish was cleaned, scuffed, and touched up. Then 2 coats of varnish were applied. 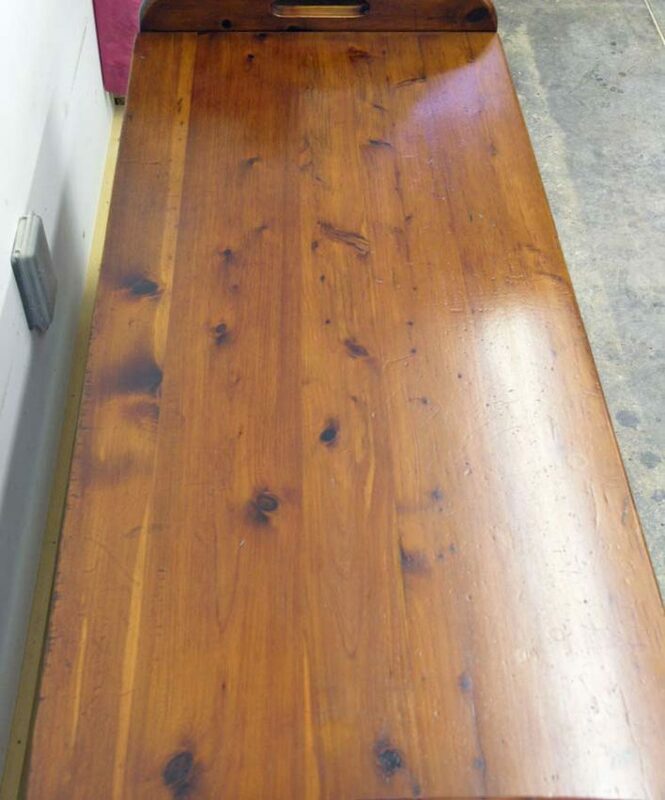 Once dry, the finish was rubbed and waxed. 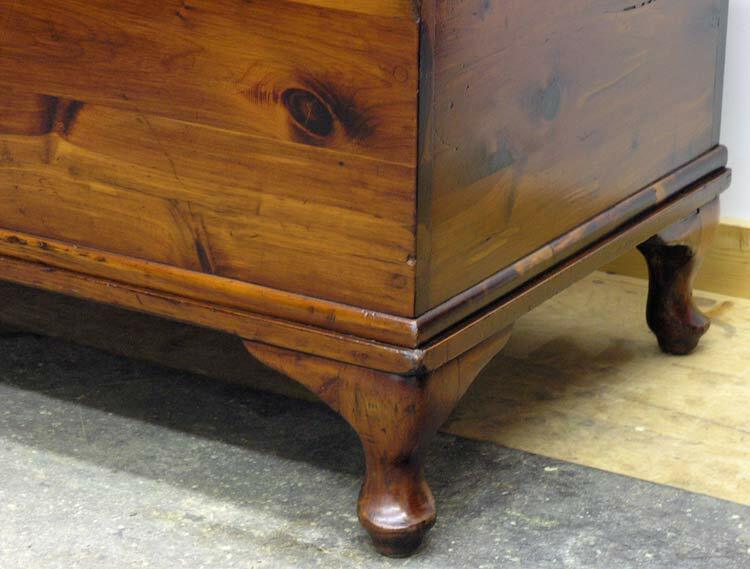 The cabriole feet add a nice look to this chest, and the restored finish shows them off well. As for the interior, it was obvious that moth balls had been used in the past. The odor was rather overwhelming. To help remove the smell, I sanded the unfinished interior to revive the smell of fresh cut cedar. Leaving the lid open for a few days also helped. 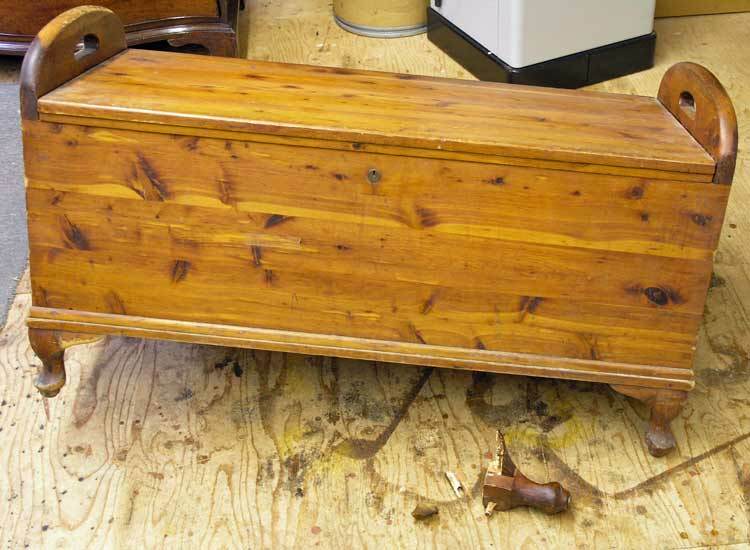 This cedar chest was restored for a Red Hook NY client.